Got up this morning, made coffee, and went to my desk with coffee to check my email. 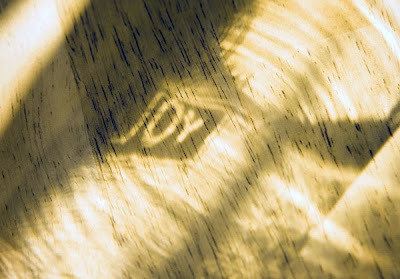 It's a beautiful morning and the sunlight is pouring in through the window and I sit down to see the light make the word 'Joy' on my desk as it passed through a glass. This tiny little scene put me in a good mood for the whole morning, despite the sun not lasting very long sadly. Its a long holiday weekend and I'm taking it easy. Nice to just have time to drift a little for a weekend. Read the paper, listen to music, I've been listening to a lot of Bowie this week. I love the Aladdin Sane album. And Hunky Dory. And Low. I may do some editing tomorrow but today is lazy.